You know what I love? A can-do book about a can-do girl. For me, Wendy Orr's NIM'S ISLAND stood out as a book that empowered young girls - rare in a market filled with books about the girl needing rescue. Or the girl helpless to some idiot's charms. Nim is a fantastic character. Driven and inspirational, she redefines girl power and expands on expectations of the young female hero. 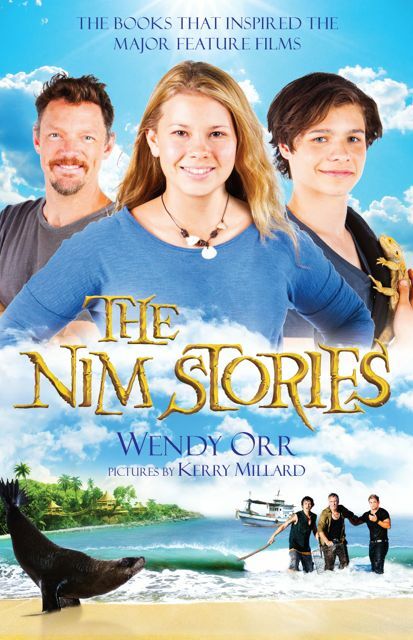 Coming in April to Australia is Wendy's THE NIM STORIES, which includes both NIM'S ISLAND and NIM AT SEA in one volume. 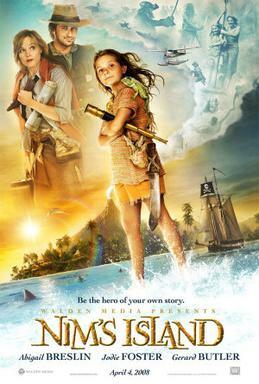 Both books were given the Hollywood treatment and star Jodie Foster and Bindi Irwin, respectively. If you've got a young girl, give it to her and watch her horizon expand. If you've got a young boy, give it to him so that his definition of what it means to be a girl isn't limited to the pop culture cliche. If you can't get the bound together version, just get both books! They're fantastic. Wendy tagged me in this blog tour, so next week, after you've bought and read THE NIM STORIES, I'll tell you a little bit about how I got on this journey.